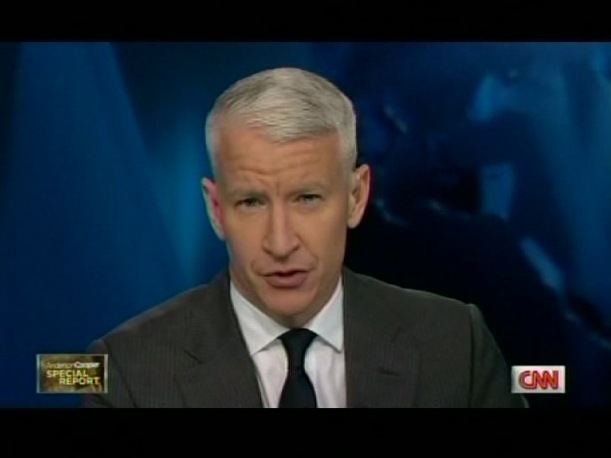 Tonight's show was an Anderson Cooper Special Report: Ungodly Discipline. Enjoy the extras below! He's having fun with Instagram. Nice pics. This is the second Friday 360 hasn't been live. I wonder what's going on? REMOVE DRACULLA PICTURE ,YAK HORRIBLE . Donna why remove the Dracula poster, I think it's cool, I love old movie posters. Anon 9:46 it's not unusual for CNN/360 to run specials on Friday nights, they've done it in the past, plus AC is in Ohio for 60 Minutes this weekend. Friday is usually the night people aren't home, so why not run a special? I just finished watching AC's friend Andy Cohen host "Watch What Happens Live." Not because I particularly like Cohen, but because I have to admit I do watch both, the NJ and NY Housewives, having lived in both States. The lovely Dina Manzo was on with some guy from the Jersey Shore, which I don't watch, only because it gives ALL OF NJ a bad name. Andy Cohen has fun doing what he does. Some of it is stupid I have to admit and some of it is immature. But he knows instinctively how to host a show. Now I read Andy's book...borrowed from the library. He came up the hard way and most of his experience was behind the camera. The only reason he got to host his own show was because of his successful housewives franchise. He marketed the shows sucessfully, even though it was a producers idea and then HE enhanced upon it, rendering the programs we now view. If Anderson wants to learn how to host here's his opportunity. BUT, his instincts are all wrong. Andy doesn't seem to care what people think, as long as his viewers are happy and having a good time and he knows WHO HIS VIEWERS ARE. Anderson doesn't have a clue. Andy has control and doesn't cater to subordinates. Anderson has NO CONTROL and prefers not to accept responsiblity for failure....and that is why he will continue to fail. Andy Cohen is not afraid to fail. For Anderson, failure is not an option, but he better get used to it, or turn on his flatscreen and start to study the actions and mannerisms of his friend....starting now.